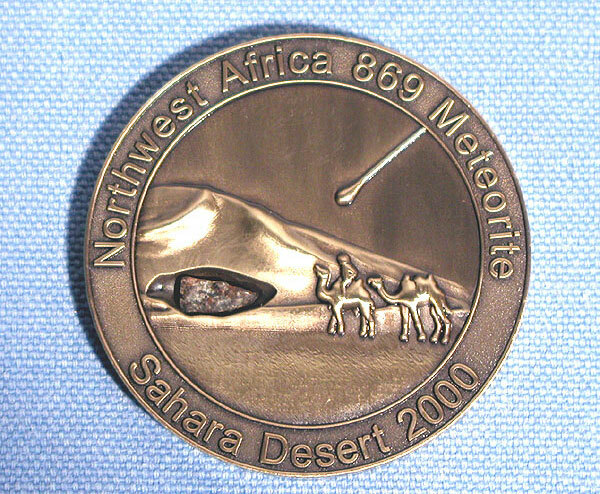 This is a limited edition coin commemorating the Northwest Africa 869 meteorite. Only 1000 coins were minted which include a real piece of the meteorite embedded in the crater. These coins are numbered 0001 - 1000. No more of these will ever be made. This is a unique item that appeals to both the novice collector and those who have built world-class meteorite collections alike. 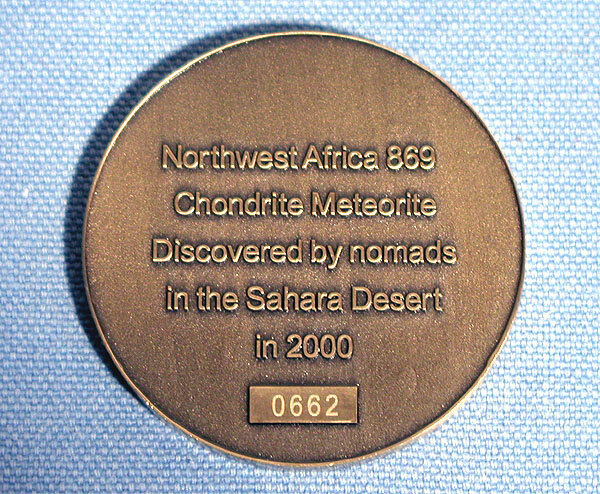 Attached in a recessed crater on the front of the coin is an authentic specimen of the Northwest Africa 869 meteorite. I have coins available numbered in the range of 601 through 700.